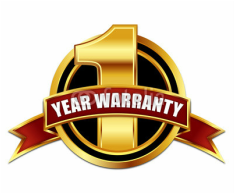 StarLightHeadliner.com offers a 1 Year Limited Warranty on all purchased Starlight kits. We will replace free of charge any defective component of your StarLight Headliner kit. To contact us regarding a Warranty Request, click here complete the form and we will be in contact with you.